Arnold Schwarzenegger is the famous Austrian-American Hollywood actor. He is well known for his blockbuster movies like Judgement Day and Terminator. He is also a businessman, activist, and a philanthropist. In 1986 he got married to Maria Shriver who is an American journalist. He has four amazingly gorgeous kids (2 daughters and 2 sons) from Maria who are well off in their careers. His 19 years old son Joseph Baena who is his fifth love child from his former housekeeper, is famous as his lookalike son. 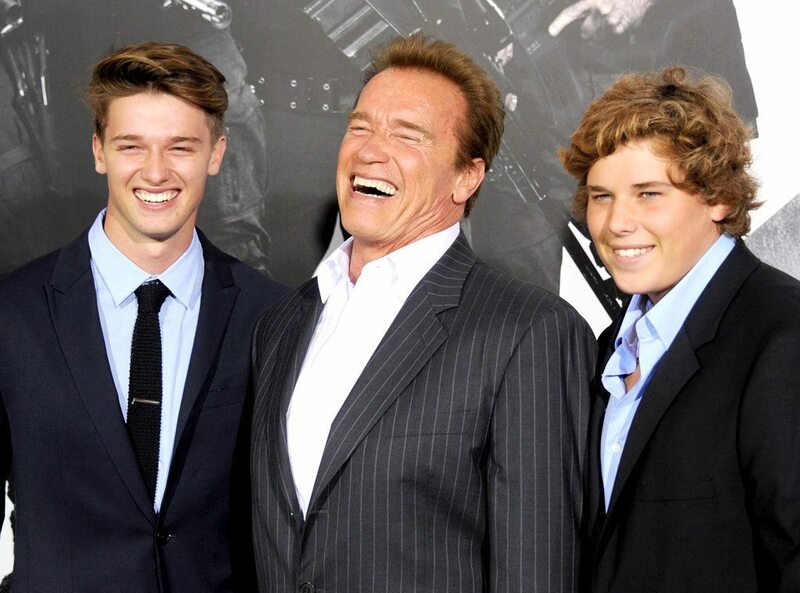 Here are some amazing pics of Schwarzenegger’s kids. After seeing these pictures even you will be amazed. Have a look at these pics of Arnold with his wife Maria and kids. #1. The complete family picture of Arnold. #2. Arnold, Maria and their all four kids. His daughters Katherine look amazingly beautiful and gorgeous. #3. Arnold with his family at some event. #4. Arnold Schwarzenegger with his two sons. Patrick(left) is really handsome. #5. Arnold’s illegitimate son Joseph Baena. He looks a lot like his dad right? Milind Soman Finally Ties The Knot With Ankita Konwar. Esha Deol and Bharat Takhtani Blessed with a Baby Girl!